The newest brewery to open in Boynton Beach, Florida is Due South Brewing Co. … Well it is really the ONLY brewery in Boynton Beach now since Hops Grill and Brewery closed sometime in the mid 2000’s. 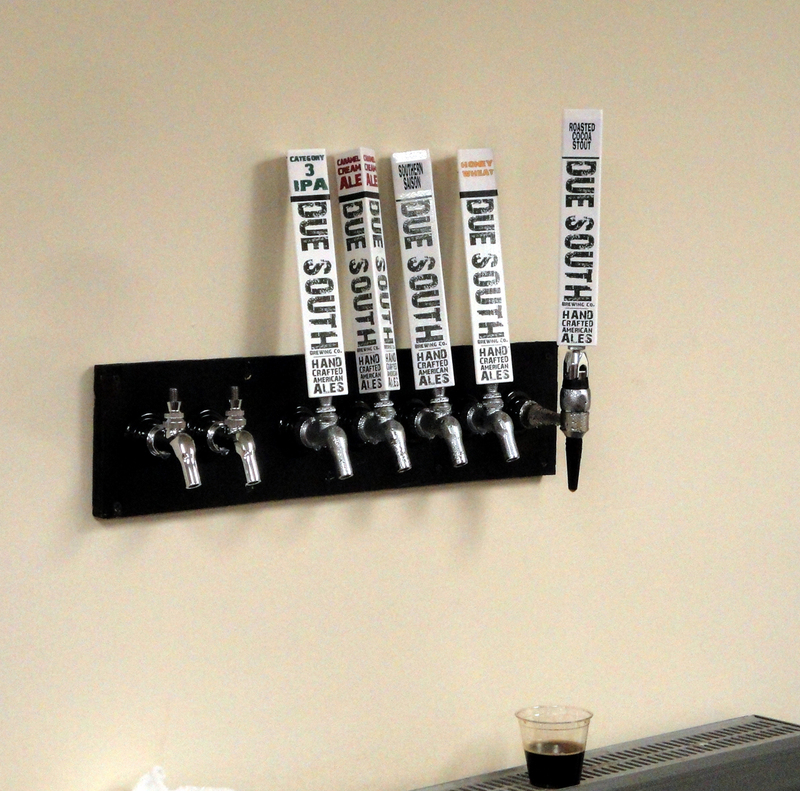 Due South Brewing Co is not only the 1st production brewery to open in Boynton Beach, but they have a tasting room as well. Mike Halker the owner & brewer worked hard and paved the way to get the city to change the local ordinances to now allow a tasting room inside a commercial production facility. This will make it easier for future breweries and/or commercial food production facilities to sell their wares at the source and this should help the city with tourism. 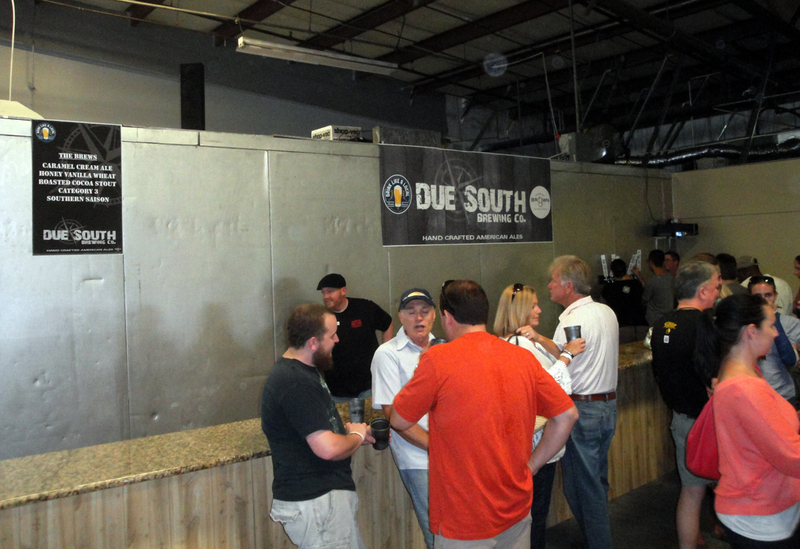 Opening Day at Due South Brewing Company was on Saturday May 12th 2012. They opened their doors to the general public at 3pm. I arrived sometime before 6pm and found a nice sized crowd outside the brewery. 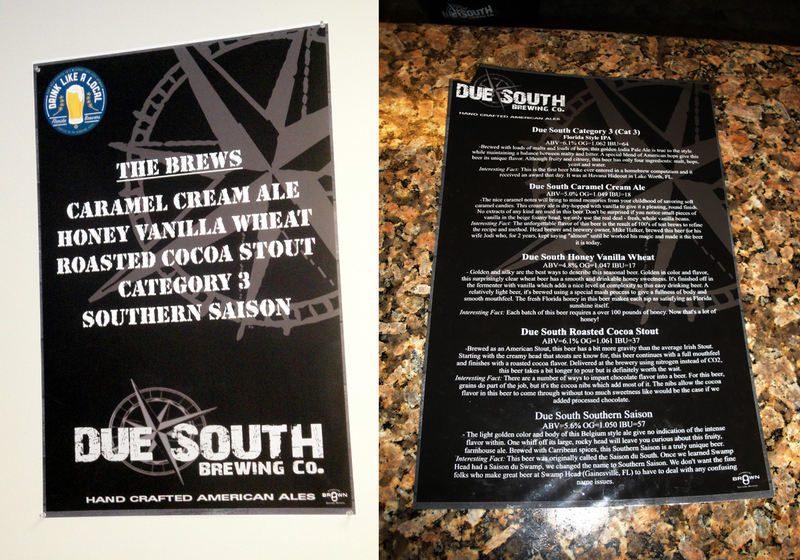 Due South Brewery has 3 separate areas for you to enjoy their brews. Outside the brewery they will be having food trucks arriving for certain events and times during the week. For their grand opening they had Lucille’s Ribs., Guiseppes, Big Kahuna shaved ice and a Greek food truck. Inside the Brewery they have 6 taps in the “open” area of the brewery and room for 7 taps inside a smaller “walled off” tasting room. Due South Brewing Co. The “inside” tasting room, with some great bottle cap art on the walls. Due South Brewing. The “open” area of the Breweries tasting room. 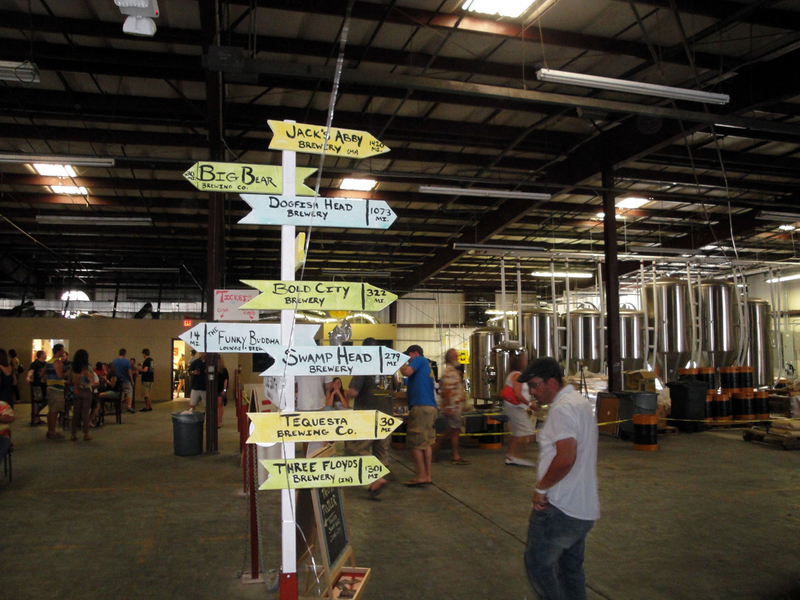 They even have directions to find other breweries. 3) Roasted Cocoa Stout, an American Stout at 6.1% abv and brewed with cocoa nibs added and served on a nitro tap. Overall it was a fantastic event and I look forward to spend many nights in this local brewery. Now I can’t wait to find these brews at my local restaurants and bars. If you haven’t already visited Due South Brewing, makes sure you put this place on your to do list as you will not be disappointed.